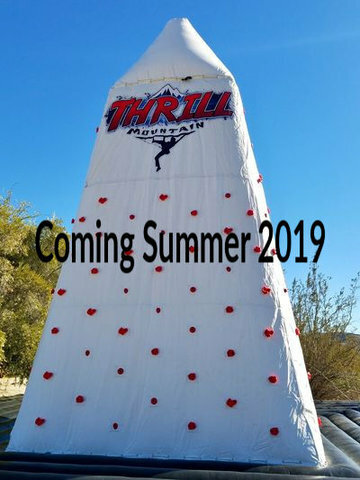 This inflatable rock climbing wall is great for any large event, company picnic or the ultimate team building challenge. Different climbing patterns on each side to accommodate climbers at any expereince level. Can have up to 4 people climbing at one time. 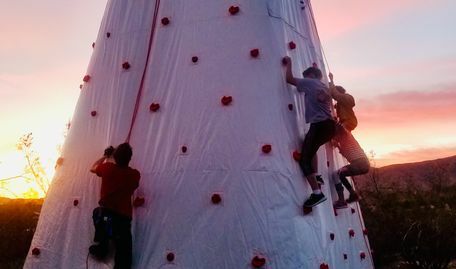 This inflatable rock wall is an impressive piece at 30 feet tall. It will be a show stopper at your next event.